Heads are sure to turn when this brightly-colored bootie takes the town! 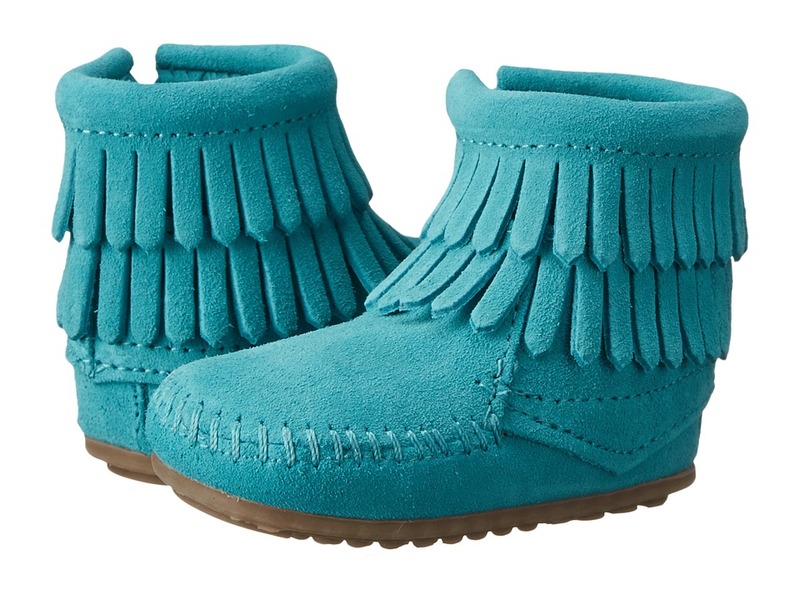 Smooth suede upper features fringe detail on the front strap and around the ankle. Hook-and-loop closure for secure on and off. Textile lining and cushioned footbed. Flexible outsole features bold stitching detail. Measurements: Weight: 2 oz Circumference: 8 in Shaft: 2 1 2 in Product measurements were taken using size 3 Infant, width M. Please note that measurements may vary by size. Weight of footwear is based on a single item, not a pair. Slip her precious feet into these irresistible booties. 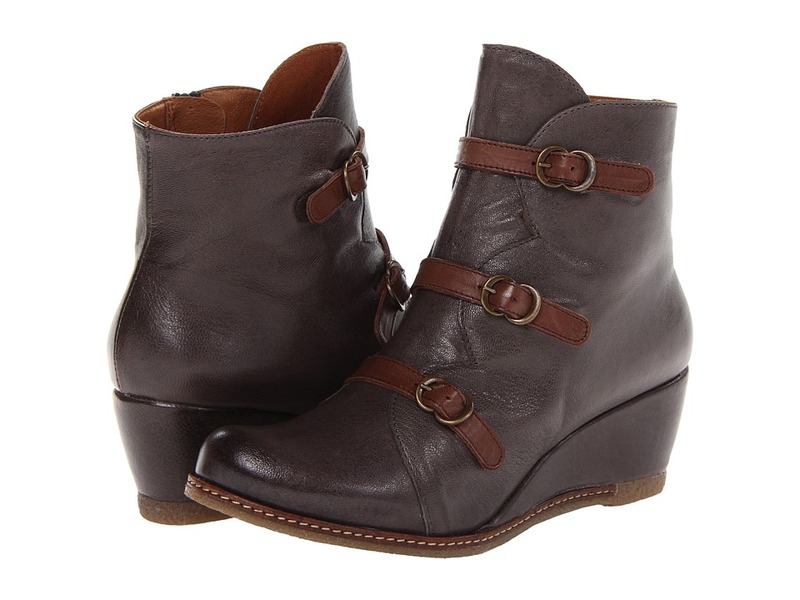 Leather upper features sheepskin collar and laces on the front. Sheepskin lining for comfort. Flexible outsole for support. Real Fur: Dyed sheep, from China. Imported. Measurements: Weight: 1 oz Circumference: 9 1 2 in Shaft: 3 in Product measurements were taken using size 3 Infant, width M. Please note that measurements may vary by size. Weight of footwear is based on a single item, not a pair. Put wet socks in its place with the Ultra High boots from Bogs, you won~t ever have to worry about water in your shoes again. Waterproof with a four-way stretch bootie that doubles as the shaft. Durable, natural, hand-lasted rubber overlay provides support and durability. Built-in handles for easier on and off. Aegis anti-microbial insole helps minimize odors and promotes a healthier in-shoe environment. 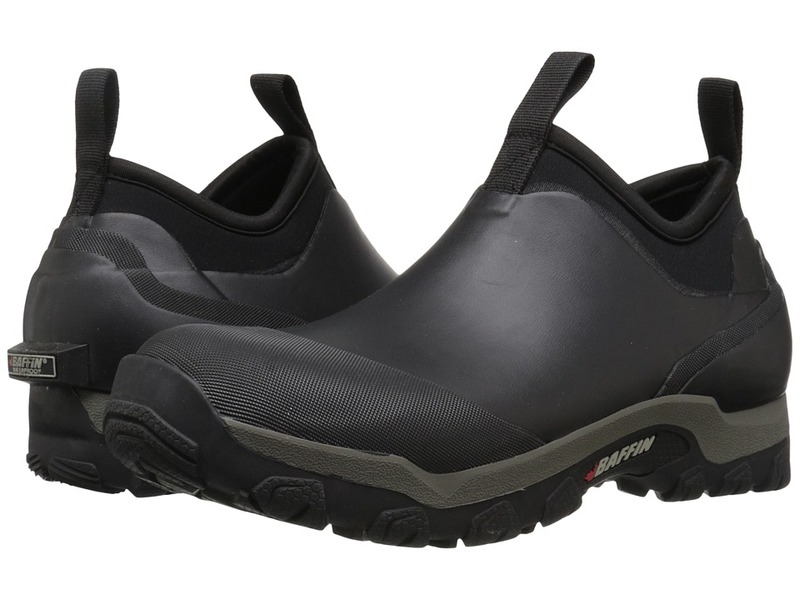 Self-cleaning, non-marking, non-slip rubber outsole offers the traction needed for wet conditions. Temperature rating: -40 &amp#176F. Imported. Measurements: Weight: 1 lb 14 oz Circumference: 15 in Shaft: 15 in Product measurements were taken using size 8, width B - Medium. Please note that measurements may vary by size. Weight of footwear is based on a single item, not a pair. 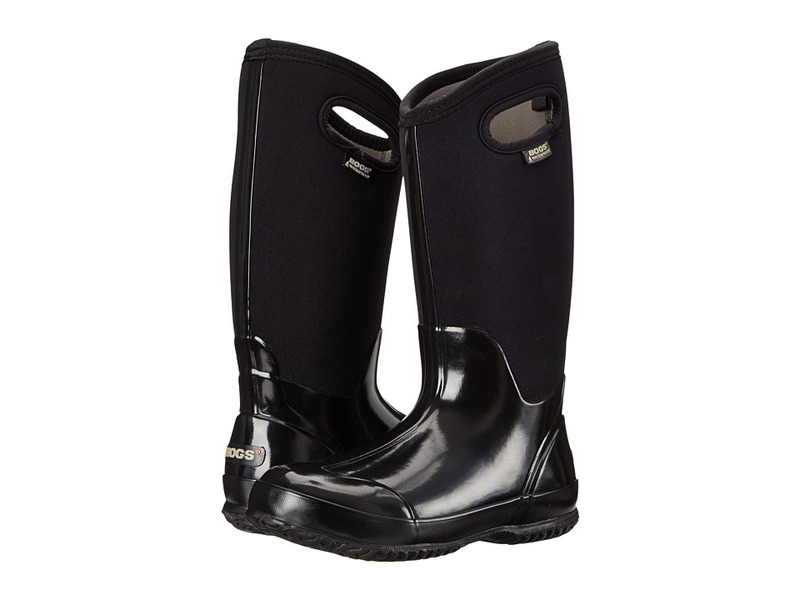 Puddles mean nothing when you~re wearing the Classic High Handles rain boot from Bogs. 100 percent waterproof. Durable, natural, hand-lasted rubber upper. Four-way stretch inner bootie doubles as the shaft. Built-in handles for easier on/off. 7mm waterproof Neo-Tech&amp#8482 insulation offers a warm, comfortable foot environment. Interior features DuraFresh bio-technology that activates to fight unwanted odors. Self-cleaning, non-marking, non-slip rubber outsole offers the traction needed for wet conditions. Comfort rated from temperate to -40&amp#176F or sub-zero conditions. 100 percent vegan. Measurements: Heel Height: 1 1 4 in Weight: 1 lb 13 oz Circumference: 15 in Shaft: 13 1 2 in Product measurements were taken using size 8, width B - Medium. Please note that measurements may vary by size. Weight of footwear is based on a single item, not a pair. 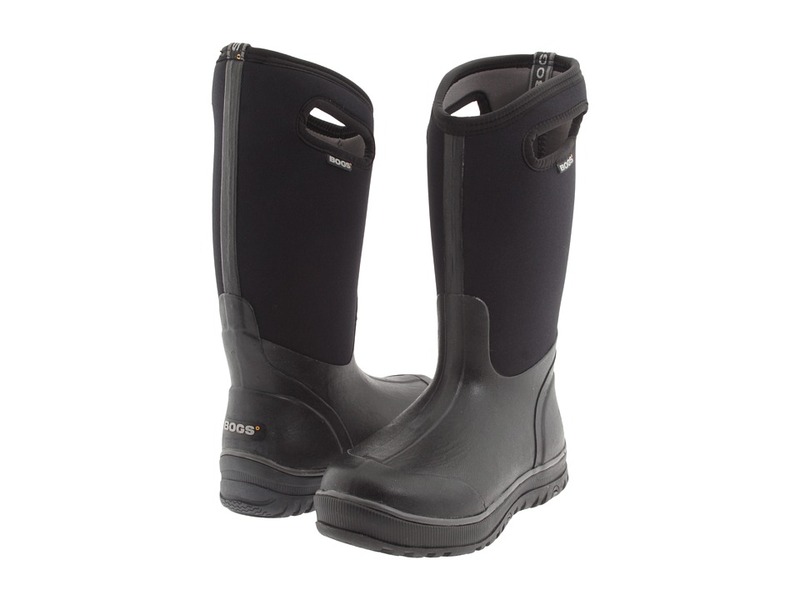 Keep feet dry on a cold, wet day by slipping into the Marsh Mid boot from Baffin. 100 percent waterproof. A versatile three-season boot. Rubber shell. Easy slip-on style. Tongue and heel pulls for an easier on and off. 7mm neoprene inner bootie. Vulcanized rubber outsole construction. Rubber outsole with grippy tread pattern for reliable grip. Temperature Rating: 0&amp#176 F/ -18&amp#176 C. Imported. Measurements: Heel Height: 1 1 2 in Weight: 1 lb 9 oz Platform Height: 1 4 in Product measurements were taken using size 11, width D - Medium. Please note that measurements may vary by size. Weight of footwear is based on a single item, not a pair. 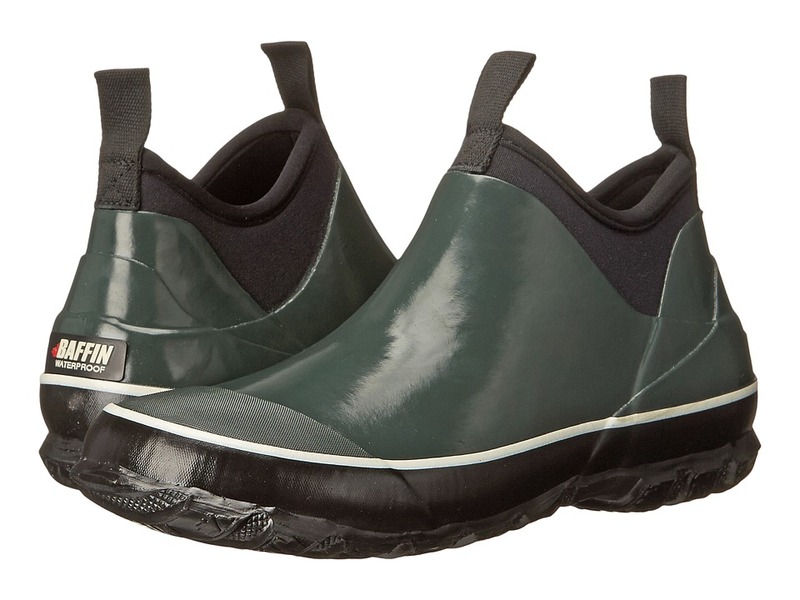 Kiss soggy shoes goodbye and slip into the rainy-day ready Marsh Mid bootie from Baffin. Rubber shell over a 7mm Neoprene bootie. Pull-on style with tongue and heel pull tabs for an easier on and off. Vulcanized rubber outsole design. Imported. Measurements: Weight: 1 lb 1 oz Product measurements were taken using size 9, width B - Medium. Please note that measurements may vary by size. Weight of footwear is based on a single item, not a pair. 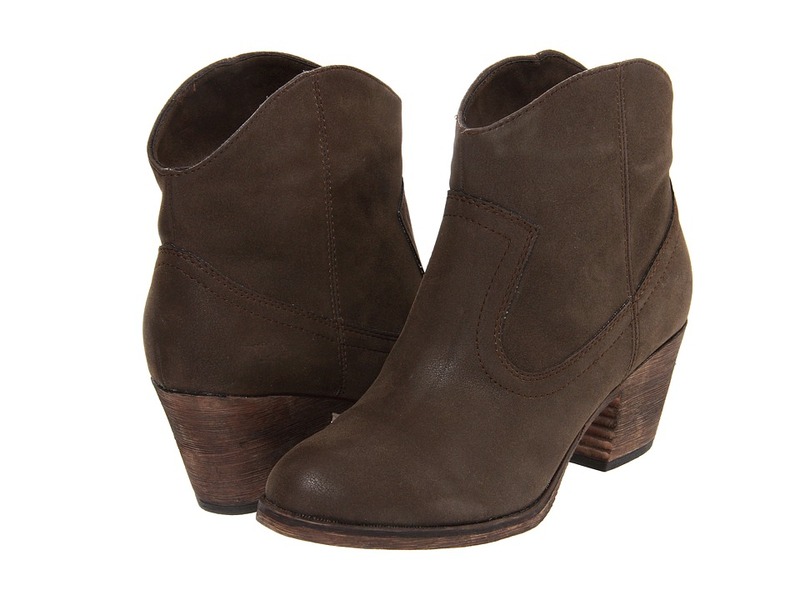 Spice up her wardrobe with the chic and trendy style of this boot! Genuine glove tanned suede uppers feature double fringe layers. Side zip closure for a secure fit. Man-made lining and footbed. Lightweight crepe outsole is durable and offers increased grip and traction. Measurements: Weight: 4 oz Product measurements were taken using size 3 Infant, width M. Please note that measurements may vary by size. Weight of footwear is based on a single item, not a pair. 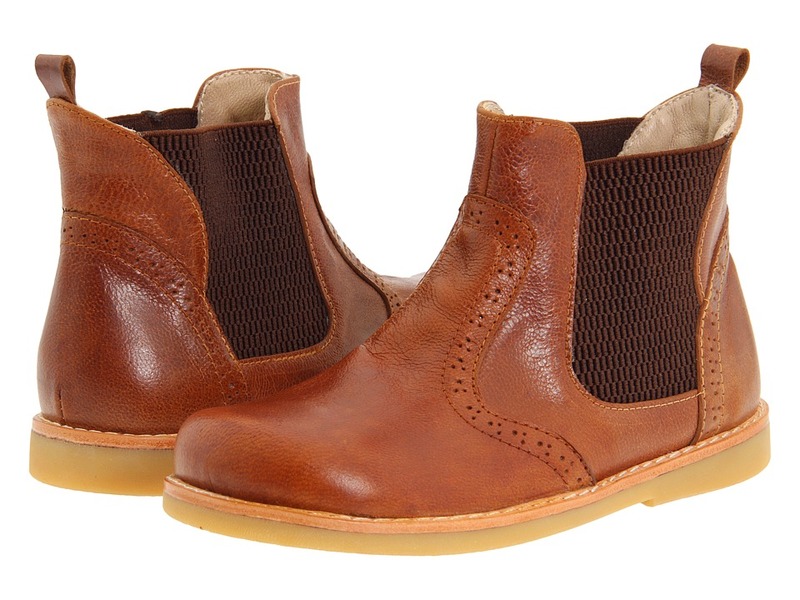 He can keep it rugged and sleek with this stylish boot. Premium leather upper with decorative stitching. Pull-on design features elasticized panels for a flexible fit. Breathable leather lining and a cushioned leather footbed. Durable rubber outsole. Made in Peru. Measurements: Heel Height: 1 2 in Weight: 6 oz Circumference: 9 in Shaft: 4 in Product measurements were taken using size 13 Little Kid, width M. Please note that measurements may vary by size. Weight of footwear is based on a single item, not a pair. 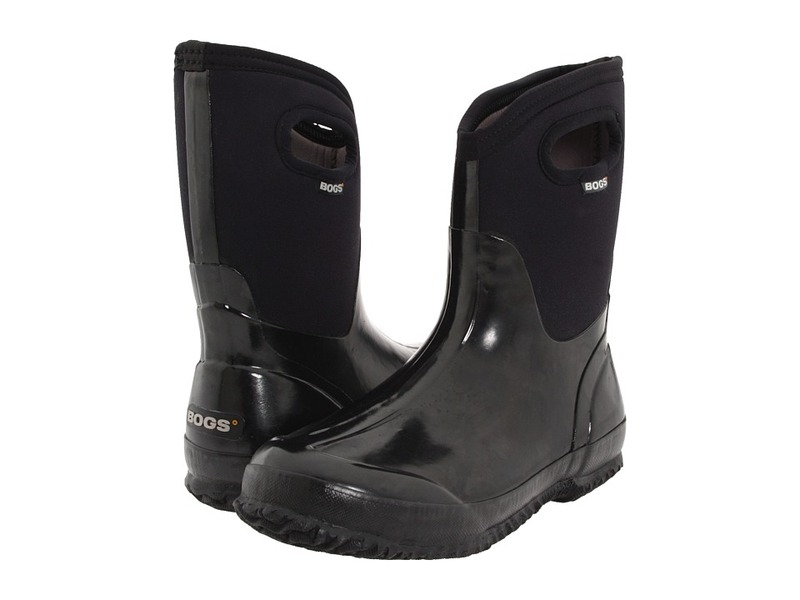 Conquer your to-do list regardless of the weather, when you roam the town in the Classic Mid Handle rain boot from Bogs. 100 percent waterproof. Natural hand-lasted rubber shell. Four-way stretch inner bootie doubles as the shaft. Pull-on style with dual-side handles for an easier on and off. 7mm Bogs Neo-Tech insulation helps keep feet warm. Insole features Aegis antimicrobial technology to help minimize odors and promote a healthier in-shoe environment. Non-slip, non-marking, self-cleaning outsole offers reliable traction over wet surfaces. Temperature Rating: -40 &amp#176F. Measurements: Heel Height: 1 2 in Weight: 1 lb 7 oz Circumference: 14 1 2 in Shaft: 9 1 2 in Product measurements were taken using size 9, width B - Medium. Please note that measurements may vary by size. Weight of footwear is based on a single item, not a pair. Don~t worry about those long hours standing while you wait for the perfect moment, the Trekker Waterproof by Justin will keep you comfortable and cozy till you need to get going. Nylon shaft with a rugged tan vamp. Round toe with waterproof full bootie construction. 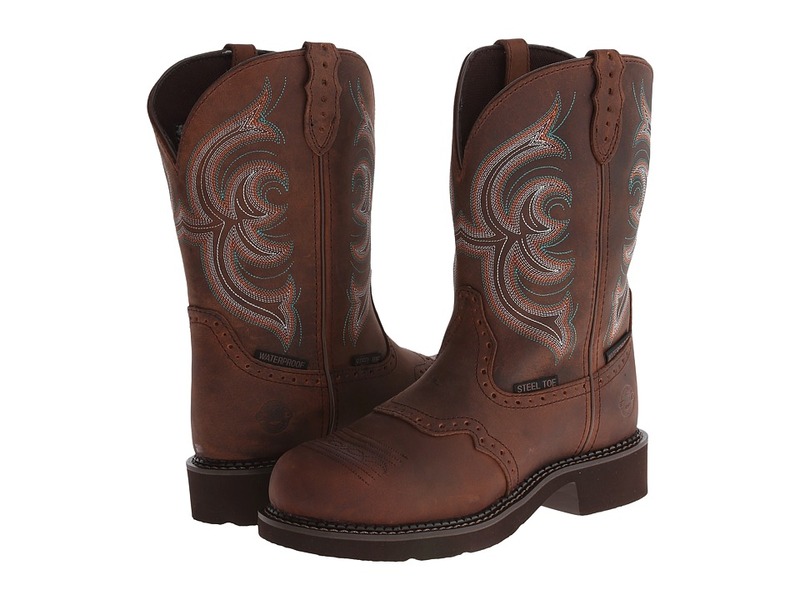 Pull on style boots with dual tabs for an easy entry and comfortable fit. J-Flex Flexible Comfort System features a triple density insole board that generates an energy return that you won~t believe. Stampederubber and lightweight EVA outsole are the best combination for traction and durability. Imported. Measurements: Heel Height: 1 1 4 in Weight: 1 lb 14 oz Circumference: 15 3 4 in Shaft: 11 in Platform Height: 1 2 in Product measurements were taken using size 11.5, width D - Medium. Please note that measurements may vary by size. Weight of footwear is based on a single item, not a pair. It may be a long day at work or just a casual day running errands but either way you~re prepared for comfort and style with these great Justin boots. Pebble grain leather upper. Waterproof full-bootie construction. Textile lined interior. Embroidered pattern on the shaft. 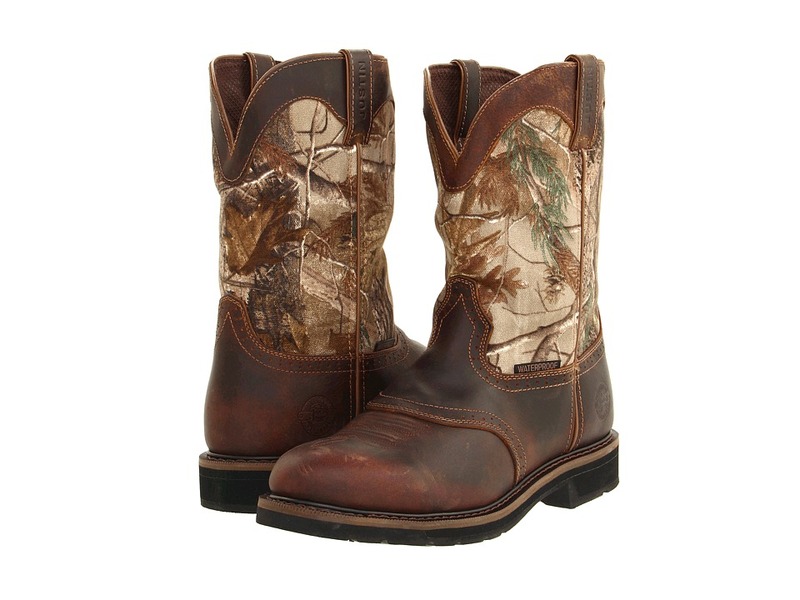 J-Flex Flexible Comfort System&amp#174 makes these the most comfortable boots you~ll ever own. The leather-covered insole and triple-density insole board generate energy return that you won~t believe. Round toe. Steel safety toe meets or exceeds ASTM F-2413-11, I75 and C75 standards for impact, compression and ASTM F2892-11 standard electrical hazard protection from open electrical currents up to 18,000 volts5 standards. Durable rubber outsole provides excellent traction on many surface types. Imported. Measurements: Heel Height: 1 1 2 in Weight: 1 lb 7 oz Circumference: 14 1 2 in Shaft: 8 1 2 in Platform Height: 3 4 in Product measurements were taken using size 8.5, width B - Medium. Please note that measurements may vary by size. Weight of footwear is based on a single item, not a pair. Pull out all the stops this fall in the Prince ankle bootie. Rich waterproof suede uppers with around toe. Dual gore panels and a heel tab for an easy pull-on style. 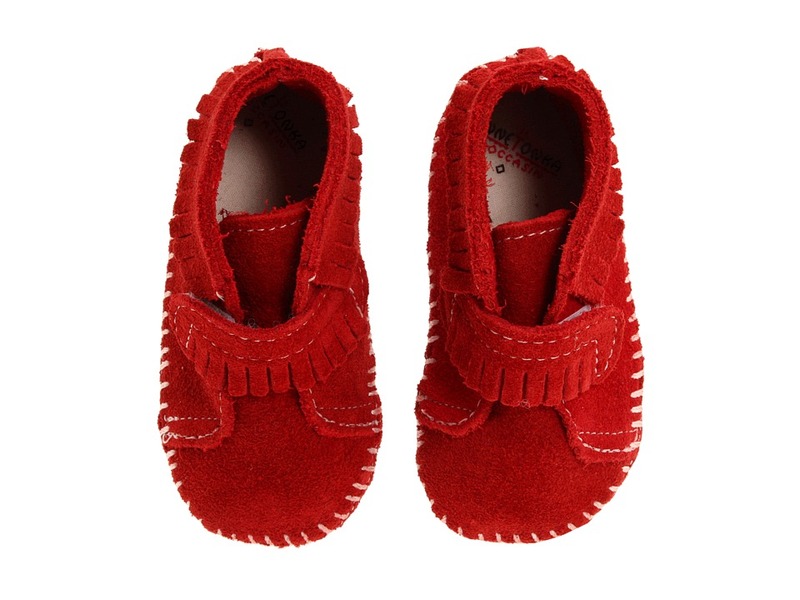 Lined with antimicrobial, microfiber that breathes and wicks moisture away to keep feet warm and dry. 3MM cushioned memory foam footbed provides added comfort and support. Leather stacked, block heel. Durable and flexible rubber outsole. Made in Canada. Measurements: Heel Height: 1 3 4 in Weight: 1 lb Circumference: 9 in Shaft: 6 in Product measurements were taken using size 8.5, width M (B). Please note that measurements may vary by size. Weight of footwear is based on a single item, not a pair. 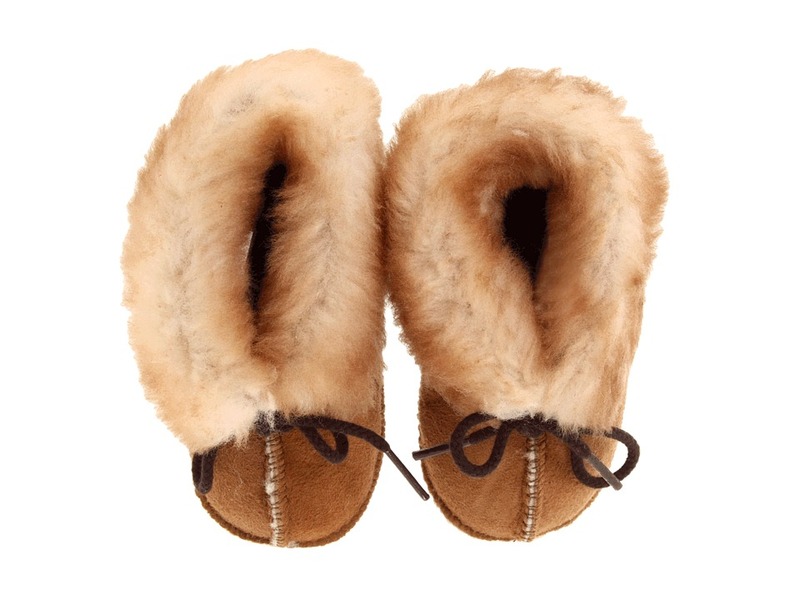 Add comfort and warmth to those winter nights with the Chrissy Bootie from Minnetonka&amp#174. Soft suede upper with a leather lacing system for much added visual appeal. 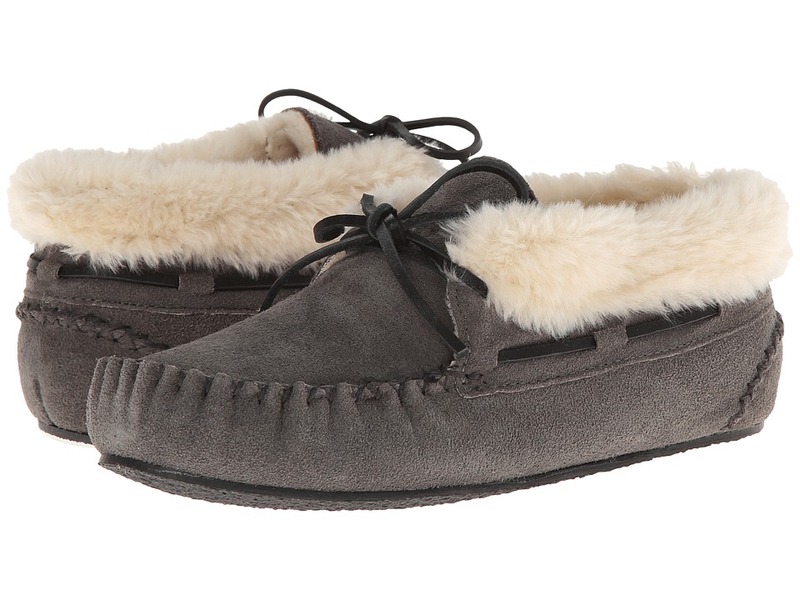 Soft faux shearling lining ensures an abrasion-free environment while keeping the foot warm, yet dry. Generously padded footbed massages the foot with each and every step. Flexible synthetic outsole delivers long-lasting durability on a variety of surfaces. Imported. Measurements: Weight: 6 oz Product measurements were taken using size 8, width M. Please note that measurements may vary by size. Weight of footwear is based on a single item, not a pair. Add a little height and a lot of comfort to your ensemble with the Lena wedge bootie from Eric Michael&amp#174. Premium leather upper with adjustable buckle straps for a secure fit. Full-length side zipper allows for easy on-and-off wear. Soft leather lining wicks away moisture leaving the foot cool and dry all-day long. Fully cushioned footbed massages the foot with each and every step. Lightweight yet durable synthetic outsole minimizes shock and vibration. Imported. Measurements: Heel Height: 2 in Weight: 12 oz Circumference: 9 in Shaft: 5 1 2 in Product measurements were taken using size 39 (US Women~s 8.5-9), width M (B). Please note that measurements may vary by size. Weight of footwear is based on a single item, not a pair. Be the most glamorous gal in town when you pair these posh Vince Camuto booties for an altogether alluring look. Suede and leather upper. Side-zip closure. Rounded toe. Man-made lining. Lightly padded footbed. Hidden platform. Covered heel. Synthetic sole. Imported. Measurements: Heel Height: 4 1 4 in Weight: 11 oz Platform Height: 3 4 in Product measurements were taken using size 9, width M. Please note that measurements may vary by size. Weight of footwear is based on a single item, not a pair. 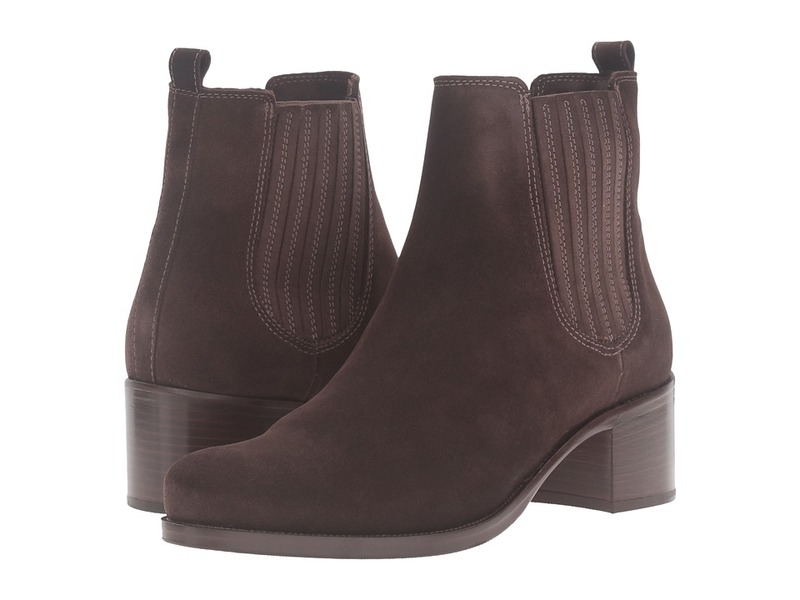 Click The Chloe bootie offers a rich Western look that complements everything from your favorite pair of jeans to a beautiful cowgirl skirt. Goat leather upper. 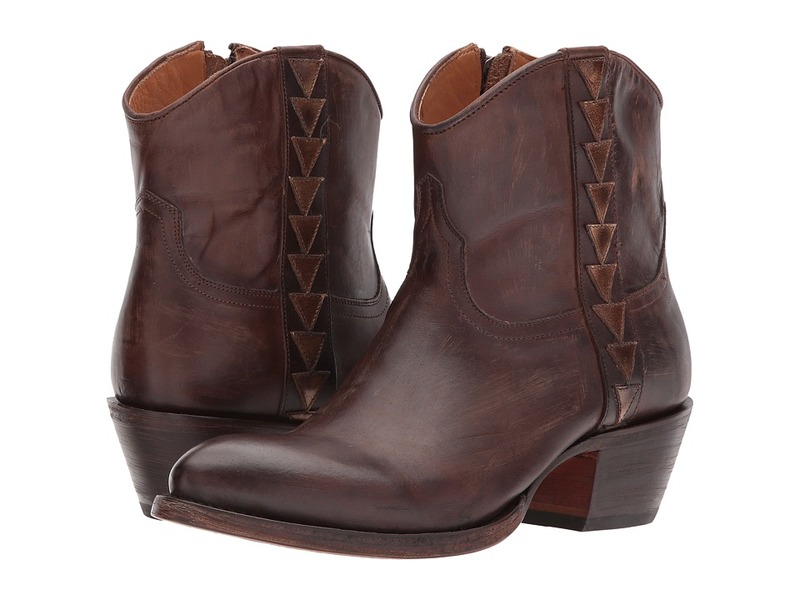 Features a Southwestern-inspired, geometric overlay that stretches along the side seam. Inside zip closure for easy on and off. 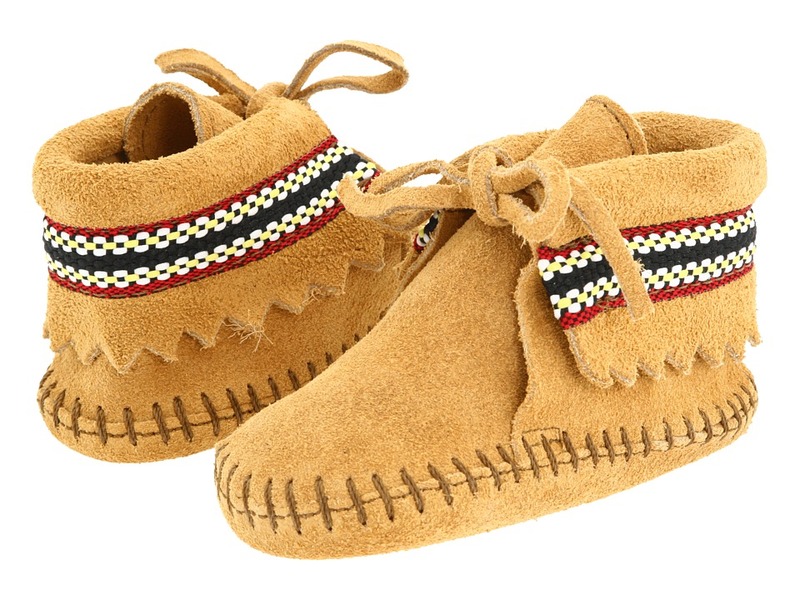 Soft leather lining provides a comfortable next-to-skin feel. Lightly cushioned leather footbed for added underfoot comfort. Leather outsole with rubber heel cap for added stability. Imported. Measurements: Heel Height: 1 3 4 in Weight: 1 lb 2 oz Circumference: 12 in Shaft: 6 in Product measurements were taken using size 8, width B - Medium. Please note that measurements may vary by size. Weight of footwear is based on a single item, not a pair.